My Favorite Gifts – Bob | Faddegon's Nursery, Inc.
Are you the guy that’s shopping a few days before Christmas, or even Christmas Eve? Running around last minute, unsure of what to get your family and friends? Bob is a very busy man, but we managed to get a list of his favorite gifts to give, so this year you can start your shopping early! Every gardener needs a good pair of gloves. A great stocking stuffer Bob recommends are mud gloves by Simply Mud. These inexpensive gloves are built for wear and tear. They are water resistant, textured for superior grip, with a nitrile organic palm. They are machine washable and come in a variety of sizes and colors. When Bob is planting and doing yard work he wants high-quality tools to get the job done. The Dutch DeWit family has been making garden tools for four generations! Old-fashioned quality combined with innovative designs makes DeWit tools the ultimate gardener’s choice. 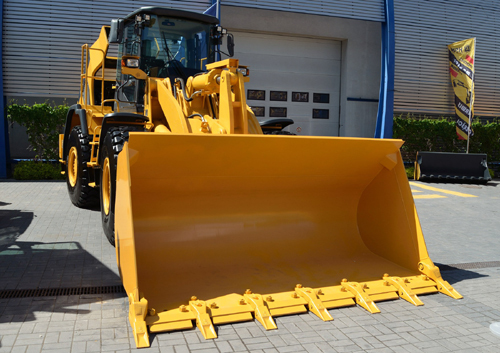 In particular, the intermediate shovel with step, teeth and t-grip. This light-weight shovel has a smaller header than traditional American shovels for easier control. The teeth are spaced widely to make digging up roots and chopping through clay soil easier. These beautifully handcrafted tools are also made out of FSC certified wood, meaning the trees being used are from sustainable forests! Bob has learned over the years that jewelry is a great gift for any special lady. Glam, gold matte plated necklaces and earrings from Spartina, to exotic Spanish rings and bracelets from Uno de 50, our collections are sure to please a variety of different tastes and budgets! Whether you’re looking for something small to stick in her stocking or something grand to give as “the big” gift, we’ve got you covered. Lemon cypress is a dwarf evergreen that Bob likes to give to anyone who enjoys tending sun loving plants. In our zones it is more common as an indoor plant, yet in the warm summer months can also be planted outdoors. It’s easily identified by its bright chartreuse leaves and if rubbed gently expels a flavorful lemon scent. Not only is this a fantastic year round plant, but make it a holiday decoration by adding ornaments and ribbon! Everyone has a dream gift, right? Maybe yours is a trip to an exotic location or a high-end luxury vehicle. Maybe it’s something less flashy, like having your family in one spot. If you want to talk big and bad, let’s talk bulldozers! What guy wouldn’t want to tool around on a 50 ton wrecking machine? Bob could get a lot of projects done and then some!! If only it could fit in a stocking. What are some of your dream gifts?